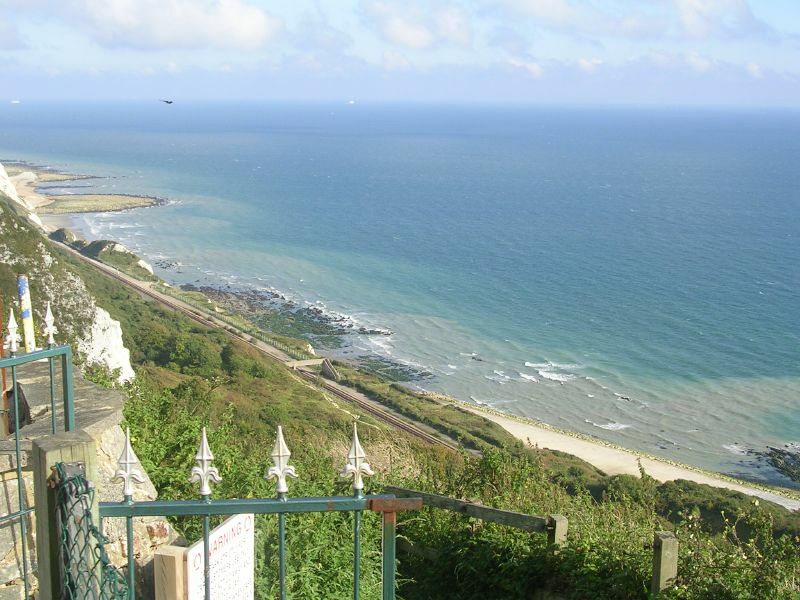 The Clifftop Cafe is a small cafe with a small outside terrace on the white cliffs of Dover overlooking Folkestone's "undercliff" and over the sea to France. Stunning location - one of the best in the country. A balcony view of the English Channel.